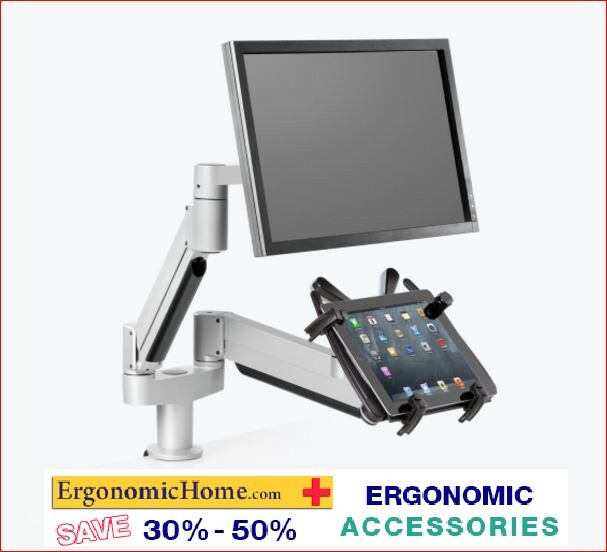 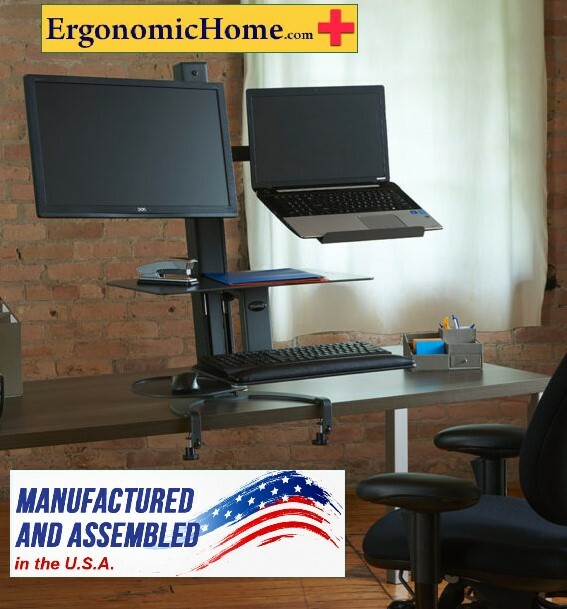 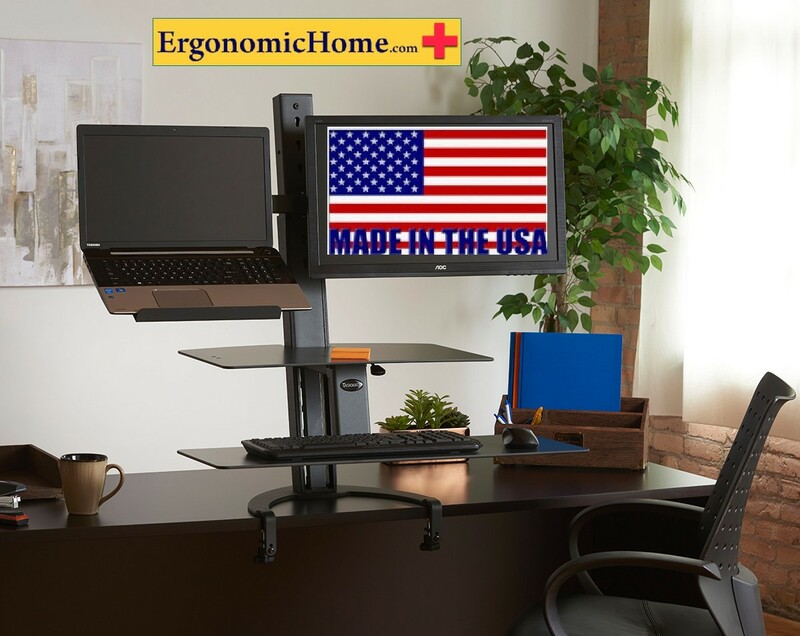 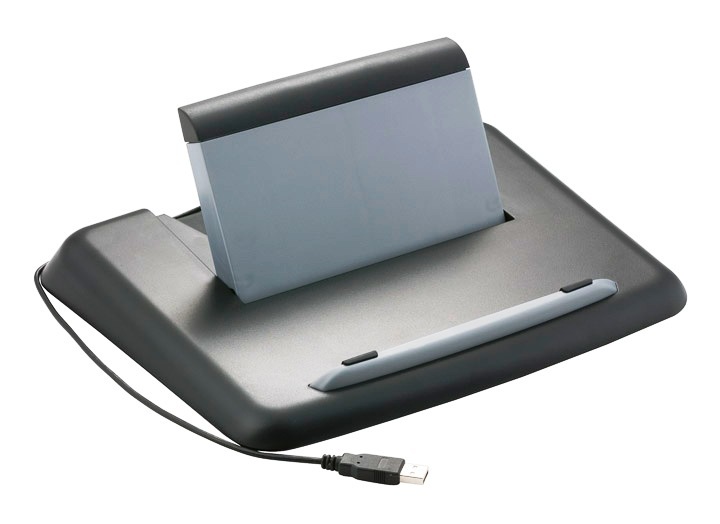 ErgonomicHome.com Notebook Stand w/Mouse Tray #LPT-TD. 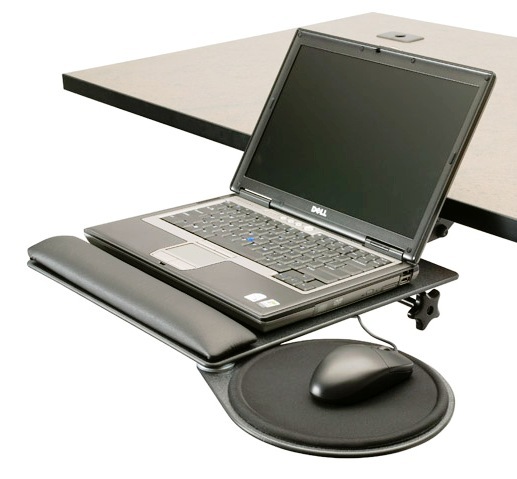 Allows you to store your laptop under your desk and has a teardrop mouse tray. 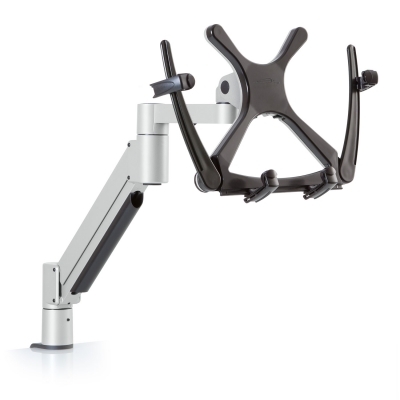 A single knob allows you to adjust.